Cashflow is vital to any business and clever use of cloud accounting platforms like Xero can make a huge difference to your bank balance. 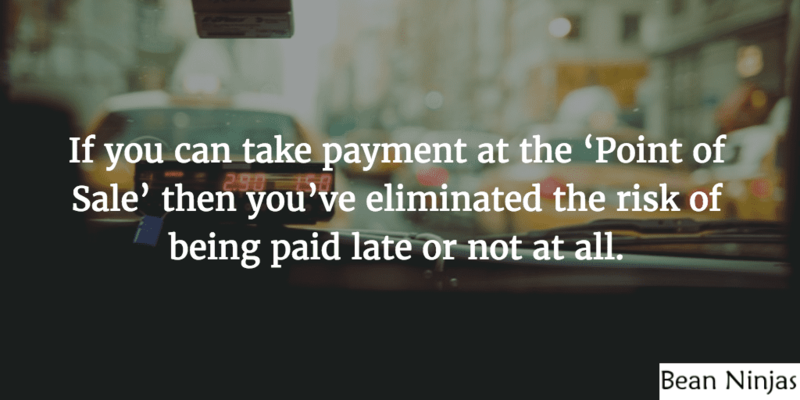 Recent Dun & Bradstreet data shows businesses are waiting on average 54 days to be paid. 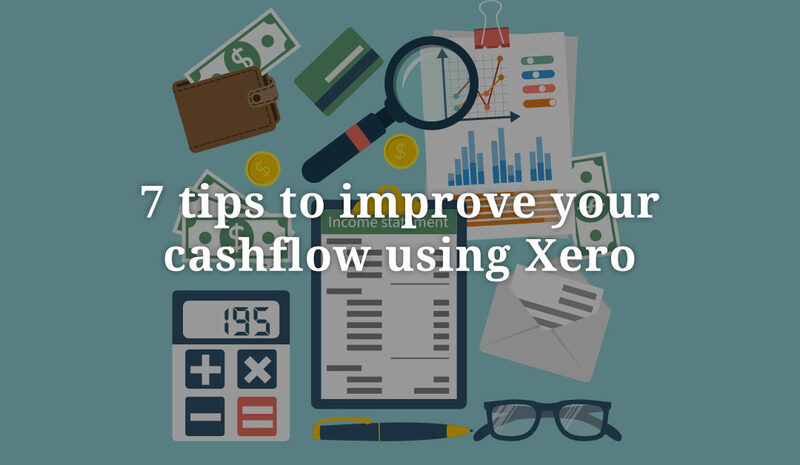 Here are 7 tips to help you beat this average and improve your cashflow! It is pretty common these days to be charged for software using a subscription model. Years ago you would walk into a store to purchase Microsoft Office. Now Microsoft want you on an annual subscription model like Office 365? Why? 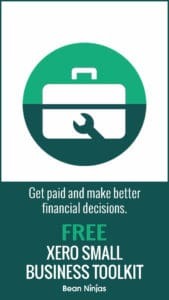 Guaranteed regular cashflow unless you opt out of the subscription. It is much harder to get you back into the store again next year then it is for you to continue the subscription. There are some industries where it is already pretty common to be charging a subscription like SAAS (Software as a Service). Generally ongoing work of a similar nature, like monthly bookkeeping, is more suited to a recurring subscription model, but I’ve come across Friday craft beer deliveries as a subscription and men’s underwear as a subscription. 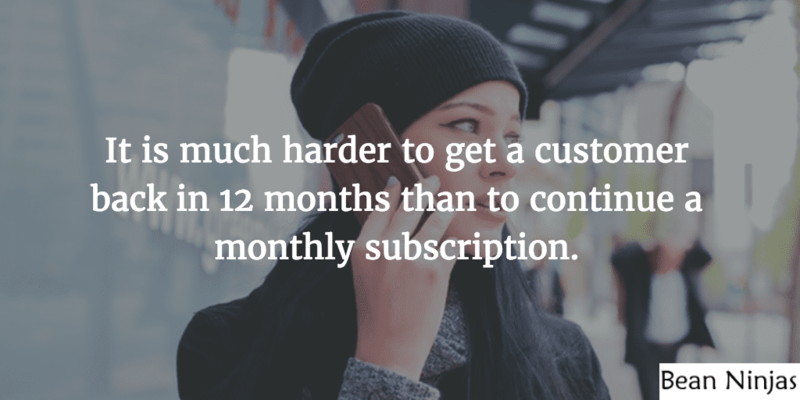 Are there parts of your business you could charge as a recurring subscription? For example, a web design agency might charge a one-off fee for design work, but there could be recurring revenue options around maintenance or hosting. Tools like PayPal, Stripe and Ezidebit all cater to recurring subscriptions and can be integrated with Xero. 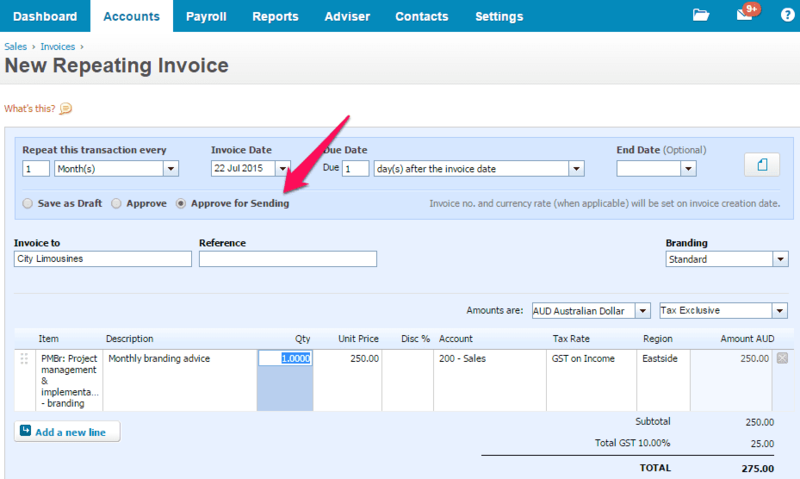 You can also setup recurring invoices to be emailed automatically to customers each month from within Xero. When I get my car serviced a guy collects the car from my office and drop it back. He brings a portable EFTPOS machine to take payment when he returns the car. How does it work in your industry? Can you take payment at the Point of Sale rather than offering payment terms? If you’re selling B2B this might be more difficult and you might need to think about how you frame this to the customer. If this isn’t possible then can you reduce your payment terms from 30 days to 14 days, or 14 days to 7 days? With Bean Ninjas we take payment up front, but this was something I struggled with in my consulting business. Customers are used to the industry norm of 30 day payment terms so even reducing my payment terms to 14 days was difficult in some cases. I am working towards payment at Point of Sale with my consulting business, but it is taking some time to gradually change customer expectations. If you aren’t charging customers on a recurring basis and you can’t take payment at the Point of Sale, then you are probably invoicing your clients once you complete the work or on a progress claim basis. 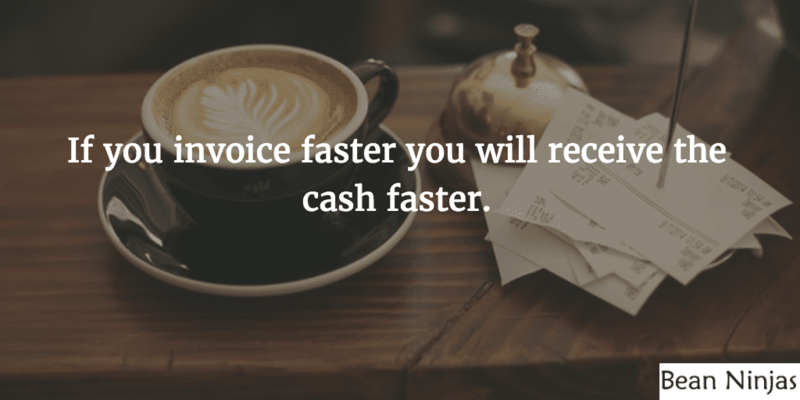 What is stopping you from invoicing as soon as you complete the work? If I’m out at a client I will often log onto Xero and send the invoice while I’m there. It only takes a few minutes. 4) Get the invoice right! If you’ve sent a quote for the job then it is very easy to turn the quote into an invoice and avoid any data entry errors. If you haven’t quoted in Xero then take the time to ensure the amount, description and customer contact details are correct before you send the invoice. One of the features I love in Xero is that when you’ve sent an invoice directly from Xero it tracks what date the customer opened the email, so you know the customer has definitely received it. Progress payments can help with this and so can ‘holding something back’. What do I mean by ‘holding something back’? Here is a little scenario to help explain this. The business owner is a good guy, but he only has enough money to pay 1 supplier. Who will he choose? 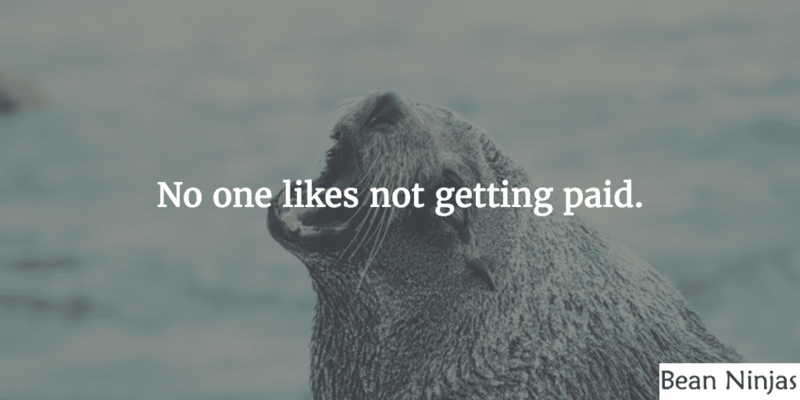 In this scenario you want to make sure you’re the marketing guru as you’re the most likely to get paid. It is important to keep an honest and transparent relationship with your customer and treat them fairly, but they should also expect to have to pay for products and services by the agreed upon date. If you can structure your agreement so that you don’t provide the product or service in its entirety, until you have received the majority of the payment then you will be the ‘marketing guru’ in this scenario! 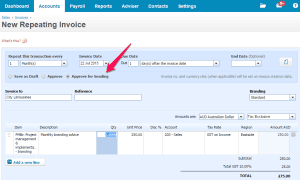 How do you know when an invoice is overdue and what do you do? In Xero you can keep an eye on the Dashboard and easily see a snapshot of late paying customers. The items in red indicate the invoices are past their due date. There are a number of debtor management add-ons that integrate directly with Xero, which can automate the debt collection process for you by sending automated reminders. You can also email statements to your outstanding customers from Xero. By customising a template email and sending statements in a batch you should be able to complete this step in less than 10 minutes. What is your debt collection target? The majority of businesses would like to improve their cashflow and through a combination of automation tools and good debtor management you can!